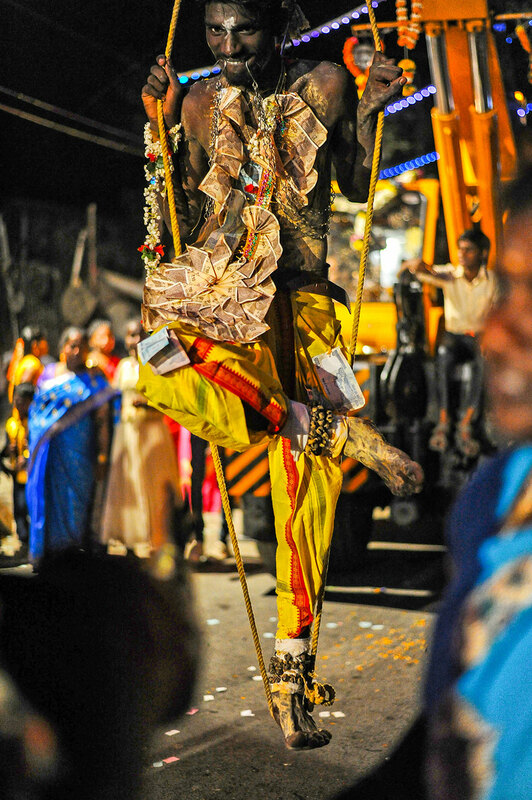 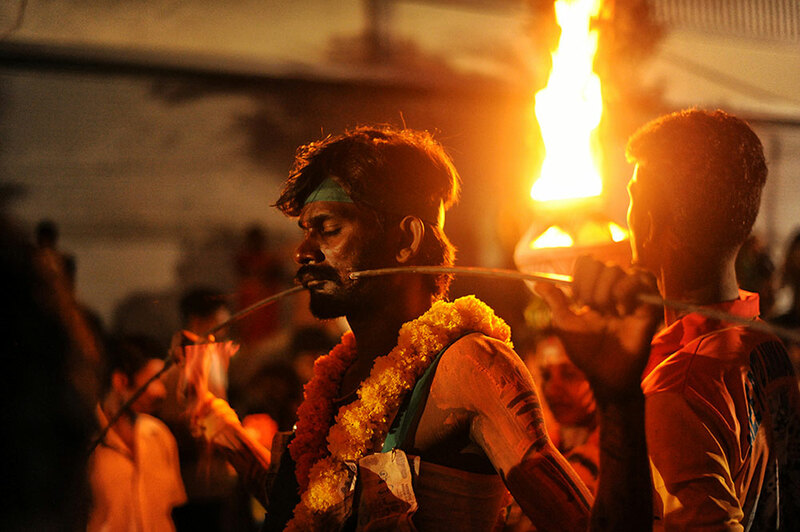 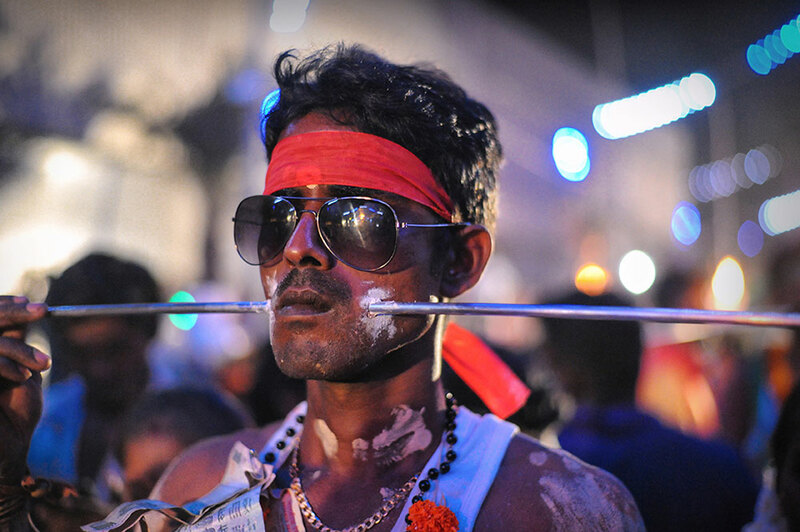 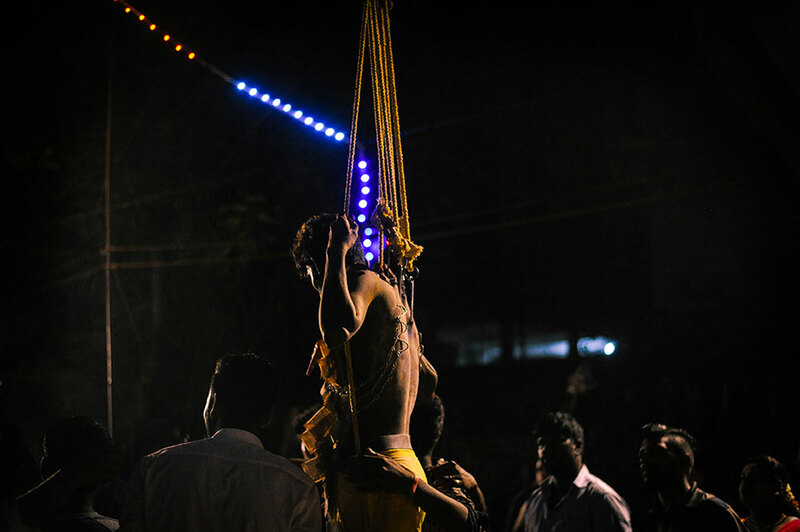 Kavadi Aatam or carrying the burden and piercings to inflict pain is a ritual traditionally observed by the people of the state of Tamil Nadu and the Tamil diaspora around the world. 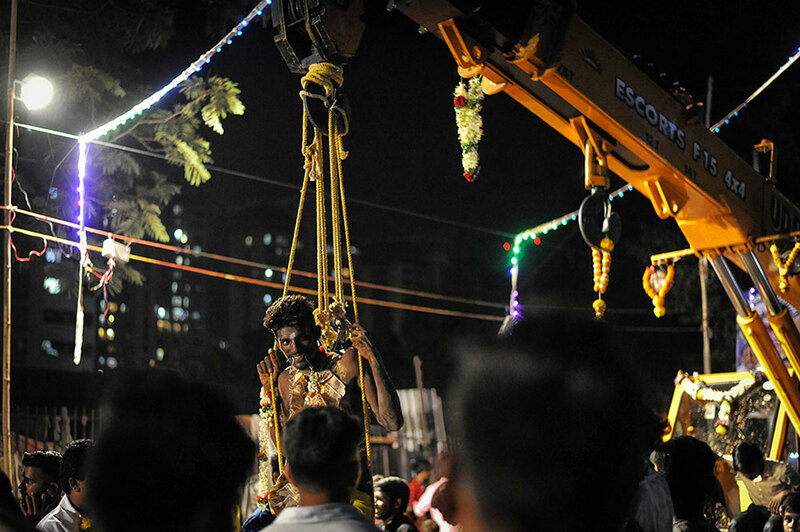 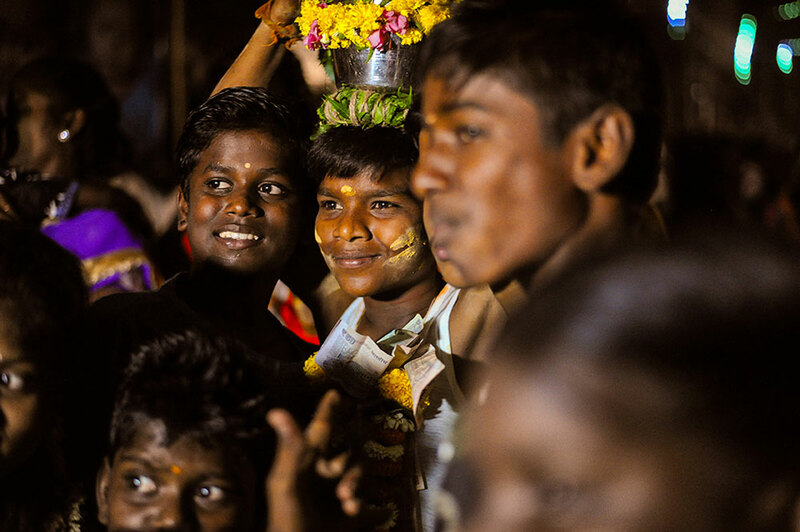 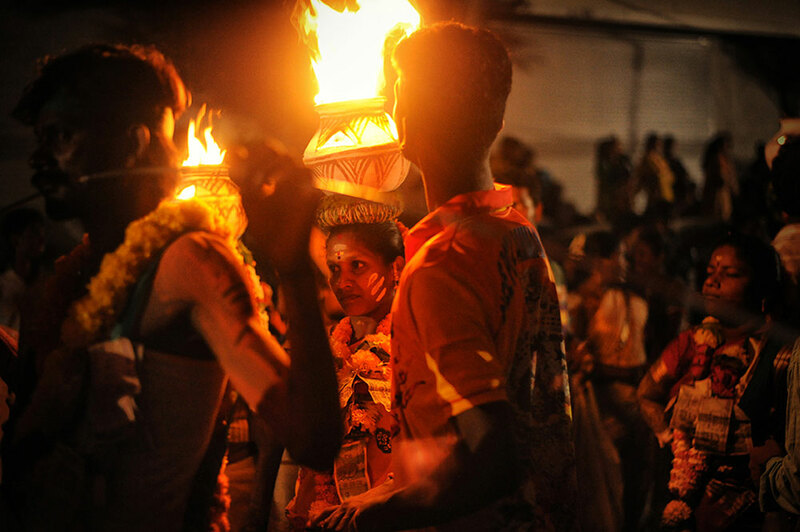 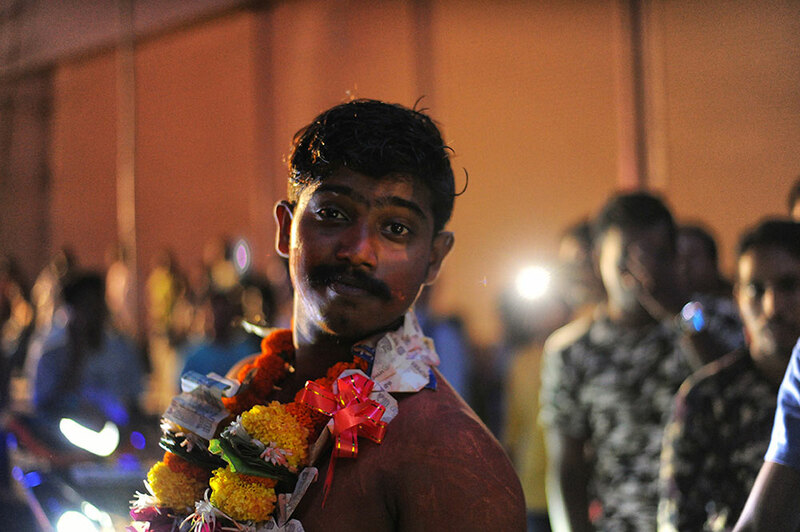 It can be seen during the Thaaipusam festival (usually in January) in certain ghettos of Mumbai where people, usually the working class Tamilians, from Tamil Nadu dominate. 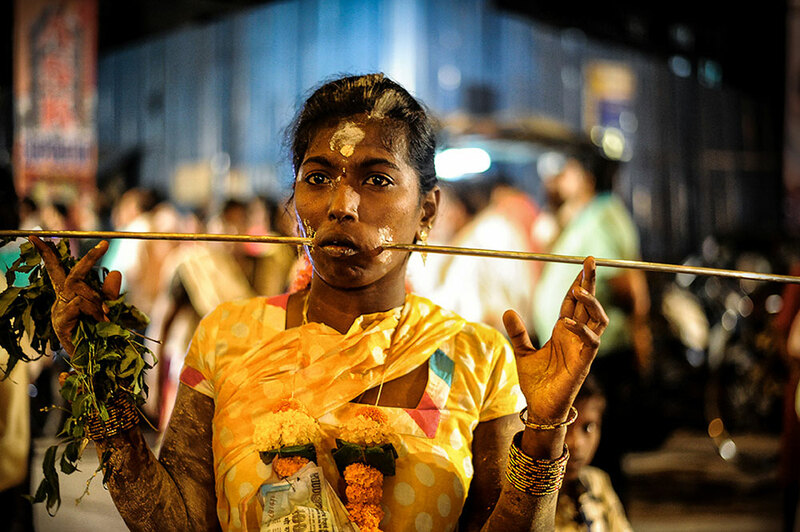 In the suburb of Malad is a small enclave with mostly working class population called Kanchpada.